Built for speed and convenience of wireless printing, the HP Deskjet Ink Advantage 5525 e-All-in-One is a multifunction printer (MFP) that pivots on quality printouts at a reasonable cost. 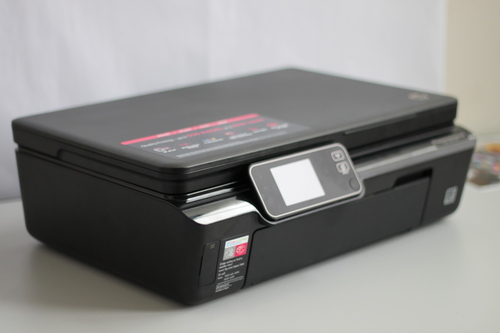 The 5525 can scan in high speed, and can copy and print more for less while making wireless sharing more convenient than ever. The 5525 is clad in a matte black chassis with glossy trim in front. Though it appears to have a simple packaging, one element that makes it stand out is the 2.65-inch color display with touchscreen capability. The touchscreen panel allows the MFP to perform various tasks from start to finish, without the need for a PC. Using the touchscreen display, you can access a library of free applications including HP Quick Forms, scan documents and send them directly to your email, and use a memory card to directly print your photos. 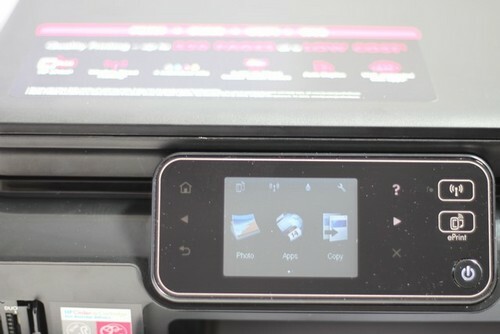 It has a built-in card reader for SD and MMC cards for direct printing. The touchscreen display allows you to directly pick which photos to print. 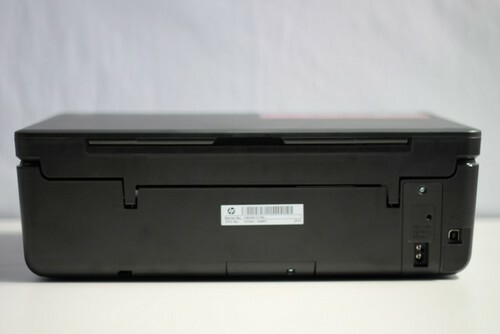 The top lid of the device opens up and this shows the machine's flatbed scanner. 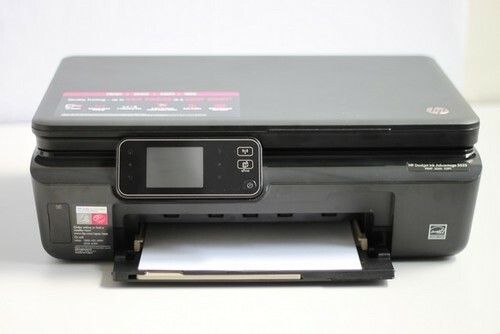 The 5525 can scan or copy a document or a photo with A4 size (210 × 297mm). The 5525 has an input tray at the bottom that can hold a maximum of 80 sheets per batch. The printout also comes out of the bottom tray. One downside of this design is that the bottom tends to get crowded and you cannot easily refill the sheets without removing the printouts. 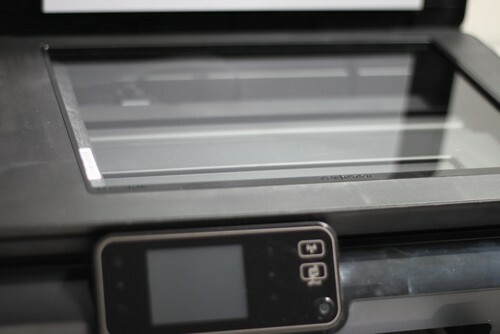 This is not the case for printers where the input and output trays are separate such that the input is at the top and the output is at the bottom. The back of the 5525 is pretty straightforward. 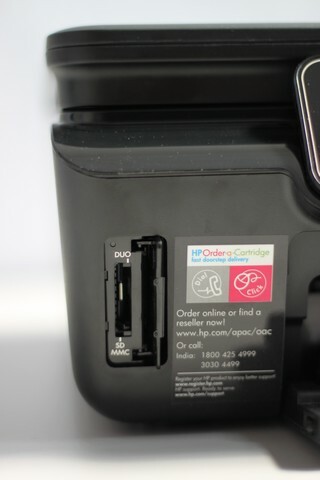 It merely contains the port for USB connection and the power socket. The 5525 comes with a USB cord for physical PC connection. But since it features wireless connection, you wouldn’t worry much now even if you misplace the cord. 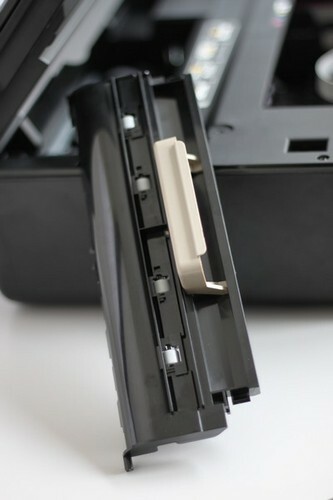 With the power turned on, we opened the second level lid of the device and the holder of the ink cartridges moved from the right side to the middle area. 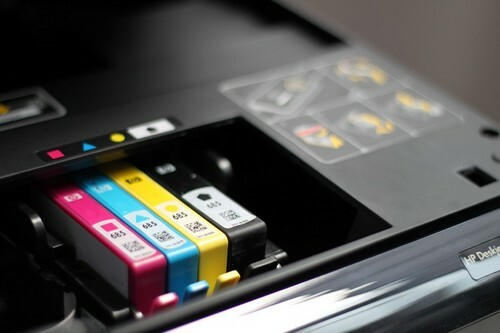 With an open hood, four ink cartridges can be seen and are independent of each other. This means that when one ink cartridge is fully consumed, you can replace only that cartridge and not all of them. 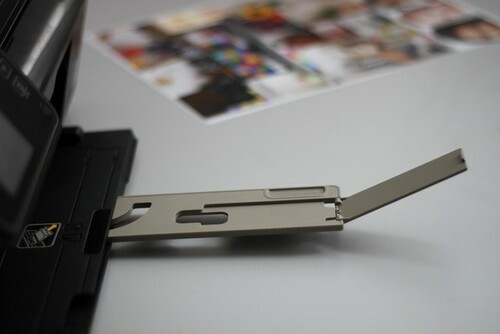 For paper jams, which happened once during our testing, a latch needs to be removed so you can easily let the jammed paper glide out of the printer.